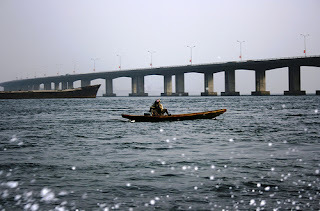 Maintenance work on the Third Mainland Bridge in Lagos will begin today, following a flag-off of the job yesterday by the Minister of State for Works, Bashir Yuguda. 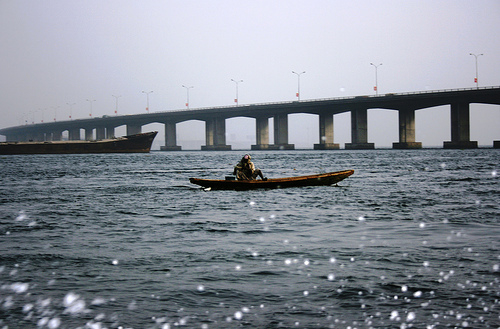 The 11.8 kilometres Third Mainland Bridge is the longest in Africa and the repair work that begins today would cost the government N1,055,477,608.16. The contractor, Borini Prono would mobilise to site today and the maintenance work is expected to be completed in November, this year, said Yuguda, who chaired a stakeholders' meeting before the flag-off. The minister said "security and traffic management issues had been addressed in the series of stakeholders' meetings held in anticipation of the repair work." He said alternative routes available for use during the period are; Ikorodu Road-Yaba-Oyingbo-Iddo-Lagos Island; Ikorodu Road-Western Avenue-Lagos Island; Agege Motor Road-Oshodi-Apapa-Lagos Island/Victoria Island and Apapa-Oshodi Expressway-Mile 2-Orile-Lagos Island/Victoria Island. Present at yesterday's meeting were the Lagos State's Commissioner for Works and Infrastructure, Dr. Femi Hamzat and the Commissioner for Transportation, Kayode Opeifa, who represented Lagos State Governor Babatunde Fashola. Others were the Corps Commander, Sector Commander, Federal Road Safety Corps, Mr. Nseobong Apabio, representatives of the Nigerian Army, Police, Nigerian Security and Civil Defence Corps, LASTMA, NARTO, NURTW, NUPENG and Nigerian Society of Engineers, among others. Yuguda stressed that the federal government did not at any time say the repair work was suspended indefinitely, adding that there would be partial closure of the bridge and routing of traffic during the period. Managing Director of Borini Prono, Mr. Gianfranco Aibertazzi said eight expansion joints would be replaced on both sides of the carriageways of the bridge. Aibertazzi said the first phase of the replacement of the expansion joints would start on the Lagos Island-bound carriageway between Ebute Metta Interchange and Adeniji Adele end. "This section of the bridge will not be available for vehicular traffic for the duration of the repairs." The second phase, he said would be on the Oworoshoki-bound carriageway between Adeniji Adele and Ebute Metta interchange. Opeifa explained that between 12 midnight and 12 noon every day, traffic from Ikeja-Ikorodu axis to Lagos Island through Oworoshoki would have unhindered access but that they would make a left turn at the University of Lagos (MoshoodAbiola) University waterfront area and return to the right lane at Adeniji Adele area. At this time of day, traffic from Lagos Island would make a right turn at Adeniji Adele to Iddo through Carter Bridge. They could move from there to Herbert Macaulay to Jibowu to Agege Motor Road, among others. After 12 noon, Lagos-bound traffic from Ikeja axis would turn right at Oworoshoki to Anthony to Ikorodu Road to Funsho Williams Avenue or to Oshodi-Apapa. Traffic from Lagos Island would have unhindered access on the bridge at this time of day. The first phase of repair work on the bridge was carried out in 2008 and was partially closed from August 2 to the end of September.